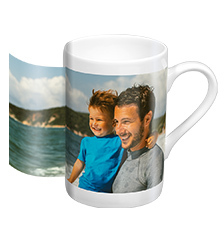 The porcelain photo mug isn't only the perfect gift for, it will also remind you of a special memory every morning while drinking your cuppy tea. This item is usual ready for dispatch within 3 working days, plus postal delivery time. You will find detailed information on Pixum delivery here.